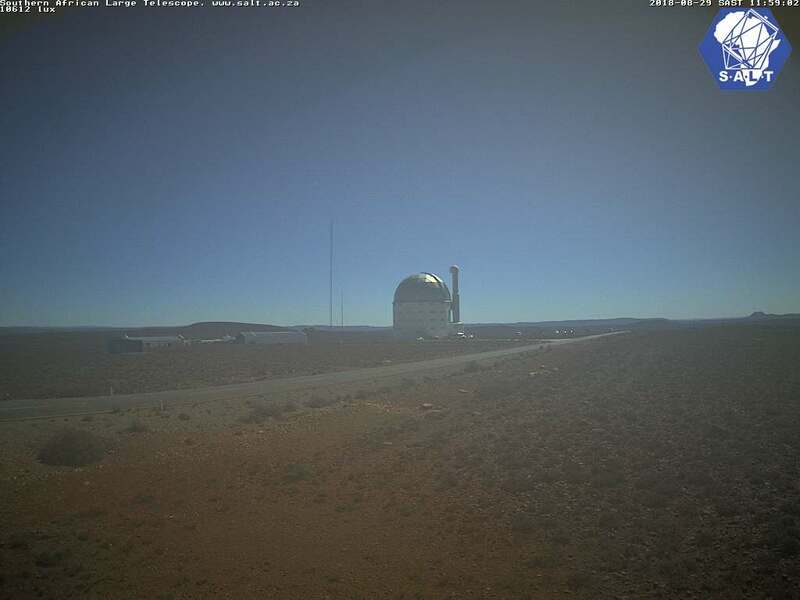 The webcam shows the Southern African Large Telescope in South Africa in real-time. The Southern African Large Telescope (SALT) is the largest optical telescope in the Southern Hemisphere with a diameter of the primary mirror 11 meters. It is located in the semi-desert region of the Karoo near the small town of Sutherland to the north-east of Cape Town on the hill a height 1783 meters above sea level. The first astronomical observation was made September 1, 2005, and the official opening of the telescope was held 10 November 2005, at the opening ceremony attended by South African President Thabo Mvuyelwa Mbeki. Views: 1277 | Insert at: 27.11.2016 | Commentaries: 0 | I want to there!